Mamula is located on the entrance to the Boka Kotorska bay. It is strategically located between Prevlaka and Luštica peninsulas. This small islet is of circular shape, and has 200m in diameter. It is 3,4 nautical miles away from Herceg Novi. 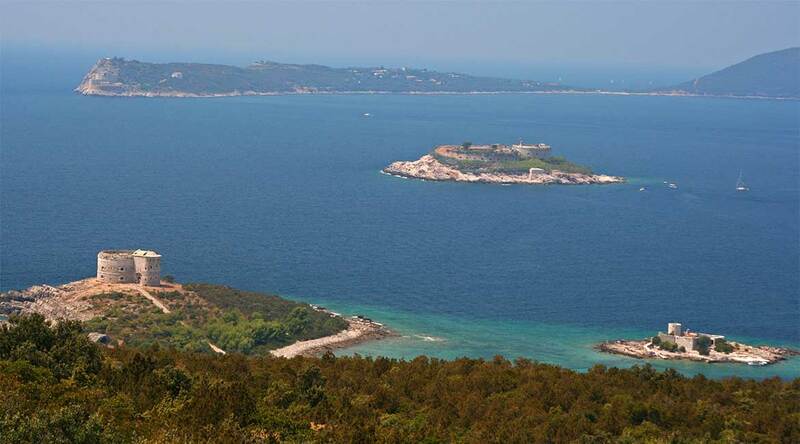 The island has a fort on it , built by Austro-Hungarian general Lazar Mamula in mid 19th century. During the World War II, the fort was used as a prison by Italians, from May 30, 1942 on wards. The prison is known for the torture and cruelty the prisoners withstood. The fort is today left to deteriorate. However, the island is still visited by boats, mainly from Herceg Novi, as it is popular one-day trip destination, and has some nice beaches.